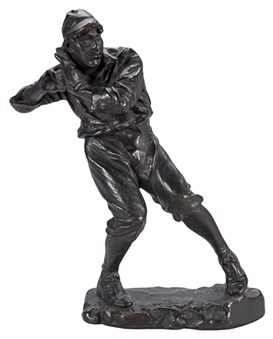 Offered here is a vintage figurine of a baseball player about to throw the ball. This player is leaning back, with all of his weight resting on his back foot and the ball cocked by his right ear. 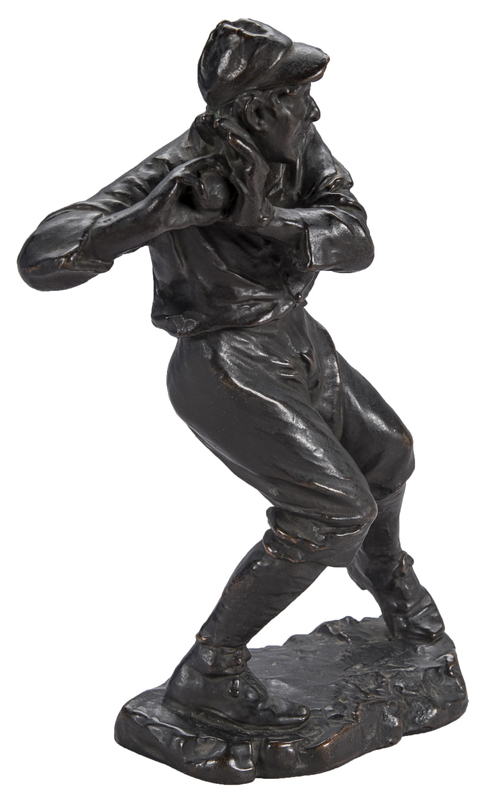 This statue is immaculately detailed and it measures approximately 10 inches tall. 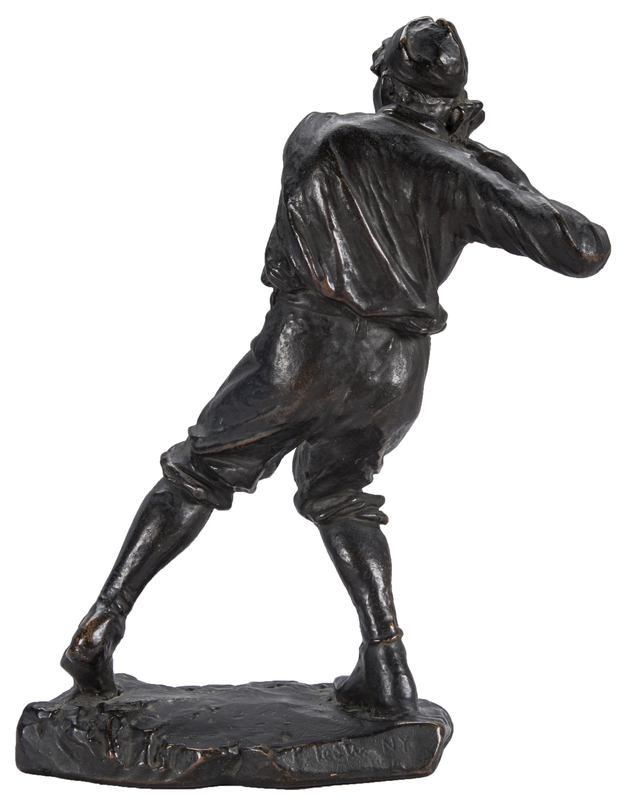 The baseball player is standing on a textured pedestal. This figurine is in good condition and would make a fantastic display piece for any collection.